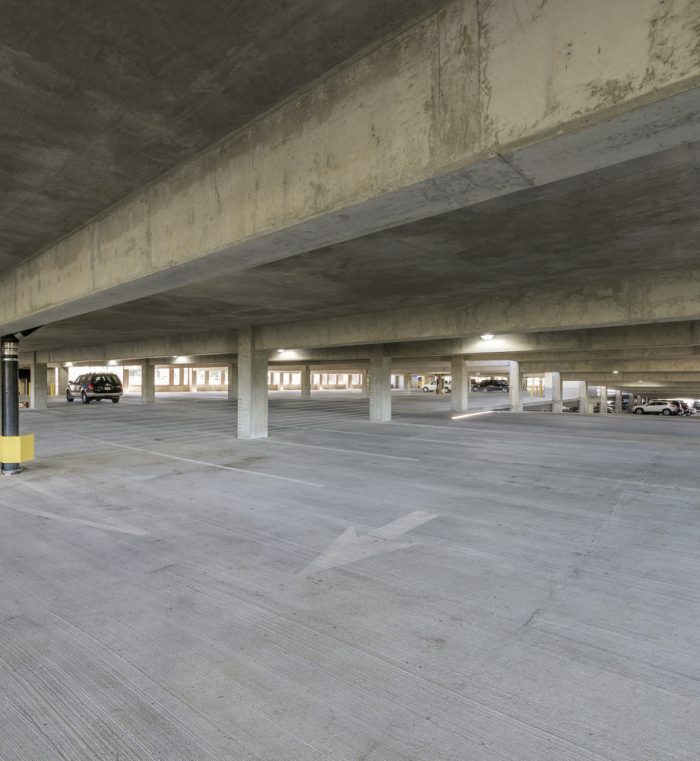 This 1,200 space 6-level parking structure was initially for the use of resident students of the University. 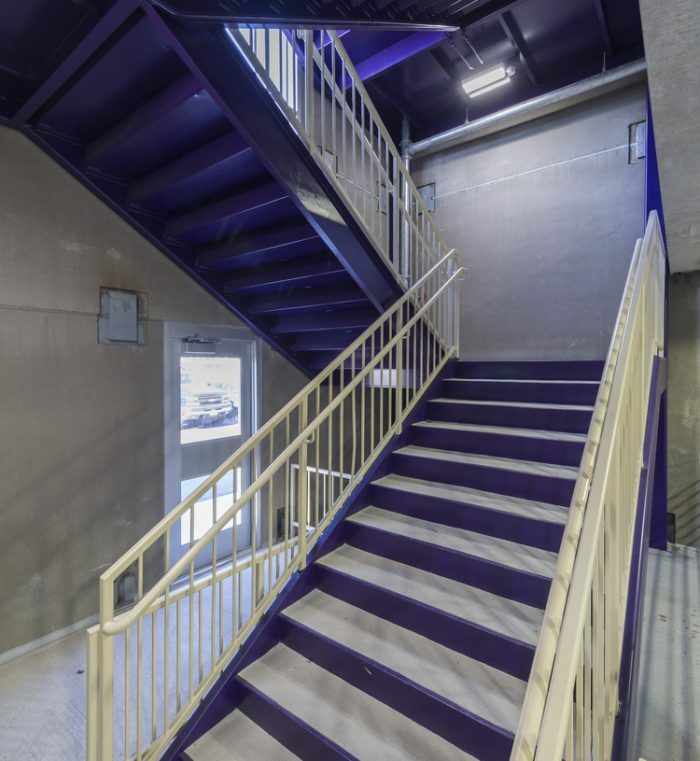 Due to the proximity of the structure to TCU’s college football and basketball stadiums, the structure was designed with enough flow capacity to accommodate game day traffic and will allow for the addition of future elevators. 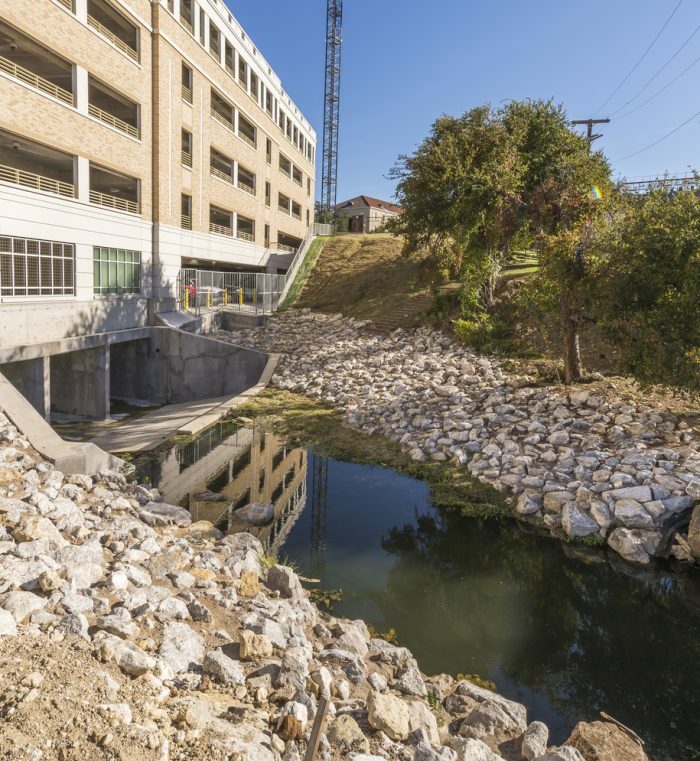 The building is located within an active creek bed, such that the water flowing up to 10′ deep and 30′ wide passes through the structure via a large concrete channel. Inspired by Hoover Dam, our team built two division channels to allow the creek to continue to flow around the building pad while construction was completed. The lower levels of the structure are partially underground, as they were cut into the sides of a radically sloped hill adjacent to the creek. A retaining structure, over 400 feet long and over two stories tall was built in order to allow full lower levels to be built. 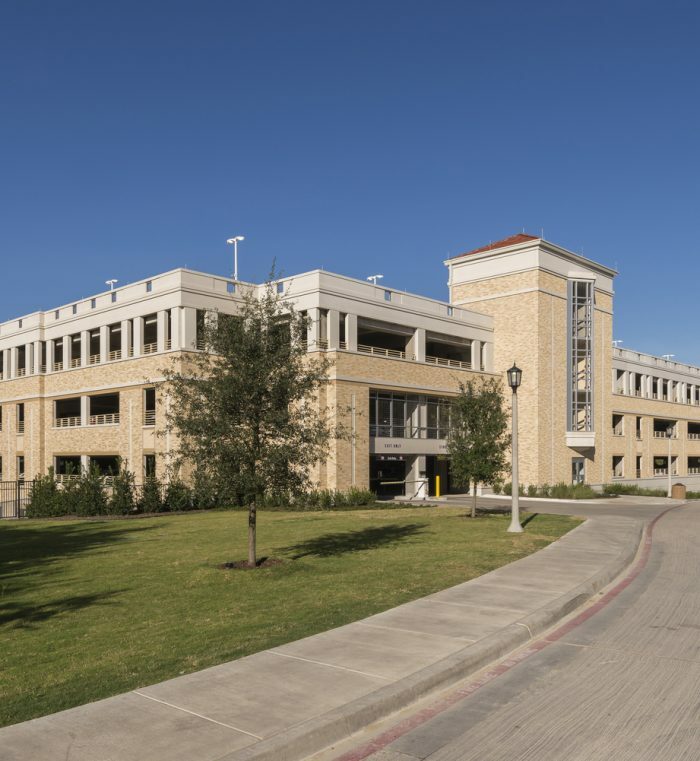 The parking structure utilizes a half brick veneer of “TCU Blend” masonry for a seamless integration with the campus’s current architecture. 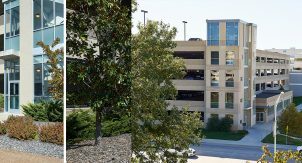 Due to extreme grade changes occurring within the structure spanning the creek, building entries were able to be located on the first, second and third levels for ease of access and egress on all sides of the building, alleviating concerns about a focus of traffic on Bellaire Drive as the sole means of access. 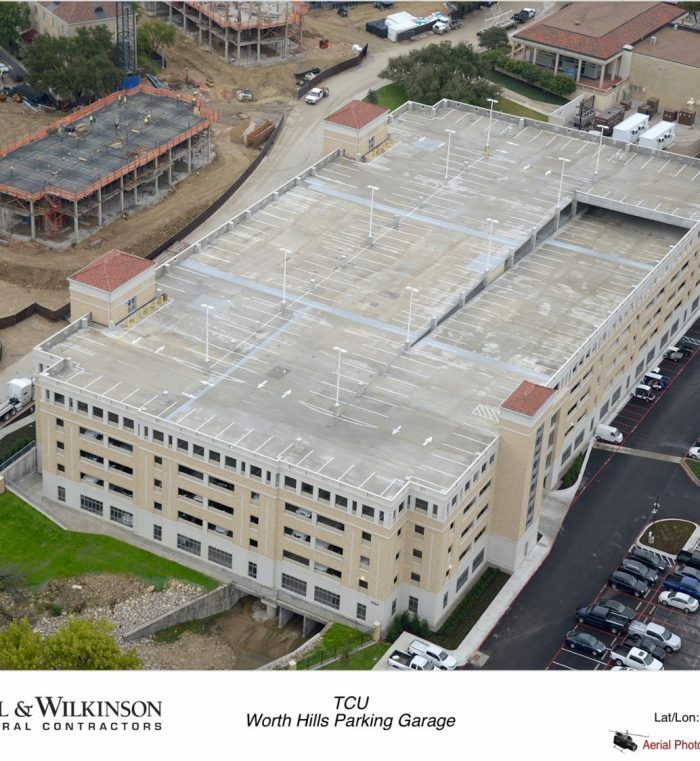 This project received the Award of Excellence from the Texas Paring and Transportation Association and the Award of Merit from the International Parking Institute.